There a high chick-factor in our house. Me, my daughter, the dog, even the cat are girls. Poor little hubby doesn&apos;? ?t have any man-stuff for himself. That is until he discovered, hidden among all my girlie beauty products waiting in the wing to be reviewed, the new StriVectin Men&apos;? ?s Wrinkle Fighting Tool Kit. It was just launched this month and finally my man of the house can get a little TLC. Although he&apos;? ?ll never let on he&apos;? ?s excited about this. Because as you know, real men wash their face with dirt and actually hope for wrinkles (signs of power and strength). I mean, did cowboys exfoliate? I think not. That aside, this kit is some powerful stuff. Although his daily shave might leave him with a soft baby face, it&apos;? ?s actually reducing his skin&apos;? ?s natural barrier against aging. So StriVectin skincare for men formulas contain NIA-114, a proprietary form of vitamin B3 (Niacin) clinically proven to help reduce visible signs of aging. Now he has all the tools he needs to fight Father Time. If he wants to, that is. No pressure, cowboy. The Instant Retexturizing Scrub clears away dead skin cells, ready for the intensive concentrate for wrinkles. He can dab on the eye concentrate for Wrinkles to help out any crow&apos;? ?s feet or dark circles and puffiness from staying up late and fighting dinosaurs and aliens. And these are made for the manly man, so no irritating fragrances or oils. They&apos;? ?re even in little travel-sizes, so he can hide them anywhere. 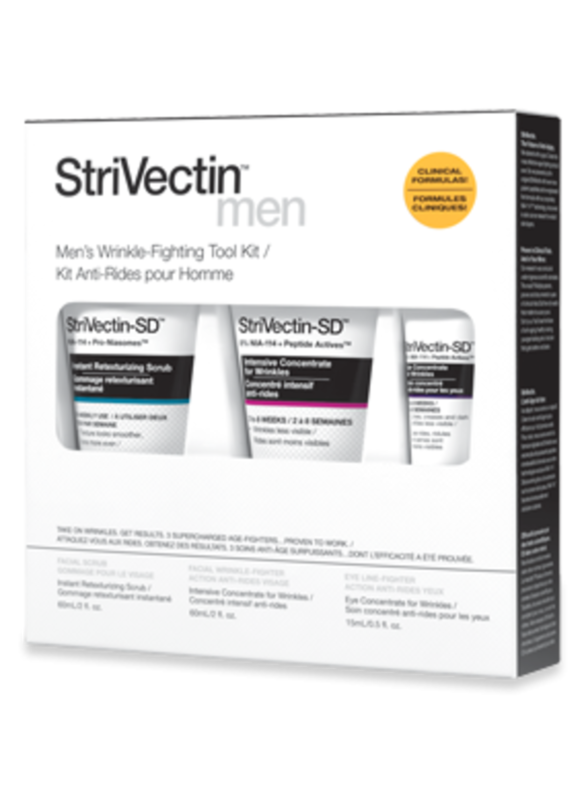 StriVectin Men&apos;? ?s Wrinkle-Fighting Tool Kit is available for $79 at strivectin.com. I love Duran Duran. * sigh * There, I said it. I copped to what I&apos;? ?m sure a lot of you think whenever the 80s hits from this foxy fab four come on the radio. Their posters were plastered all over my room as a girl. Swoon - they are so handsome. 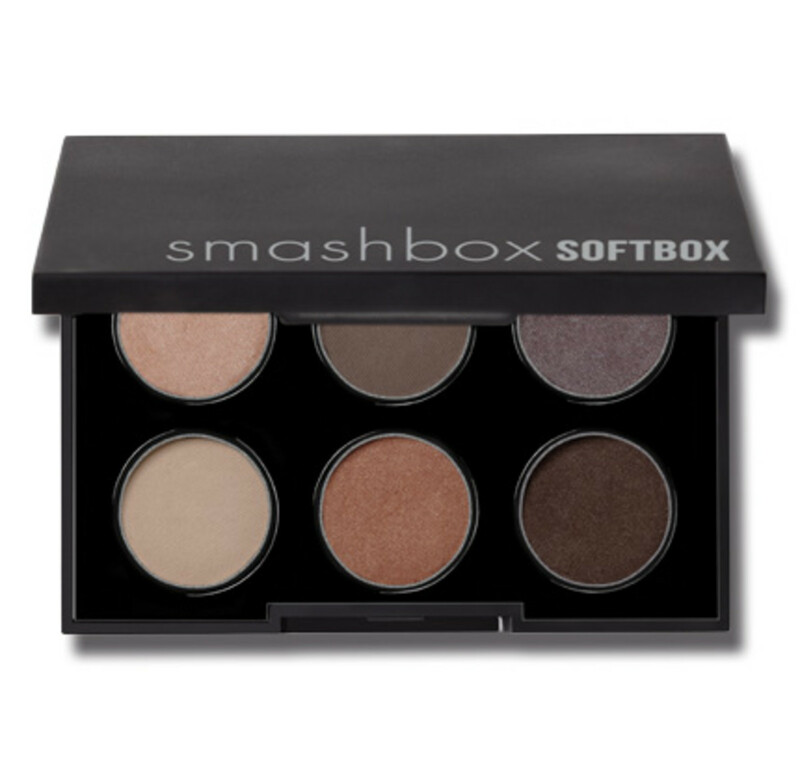 When Smashbox launched their Fall 2011 Girls on Film line, I gasped. Then when I realized that they didn&apos;? ?t actually deliver the British hunks to my doorstep, I was momentarily saddened. A girl can dream. But back to reality, I saw how gorgeous the colors were. Everything you need to be picture perfect. Although the collection also has lips (perfect pinks for smooching Simon LeBon) and cheeks (a nice blush color&apos;?¦perhaps what I would do should I ever run into Nick Rhodes), the eyeshadow palette is one of my favorites. The Smokebox are richer and brighter colors, but I love Softbox for every day use. The shades are soft and subtle but together would create a lovely smoky eye in browns and neutrals. Now your makeup can get as sultry as you please for your swoon-worthy guy. But hands off. John Taylor&apos;? ?s mine. Smashbox&apos;? ?s Girls on Film Eyeshadow Palette is available for $42 on smashbox.com and at Sephora stores. As I noted in a past Beauty & Beyond post, I&apos;? ?ve been flat-ironing my hair a lot lately. I&apos;? ?ve just been using the same ole same ole iron. Turn it on. Wait forever for it to get hot. Then when it reaches that meatloaf-baking temperature, I go over sections of my hair. Sometimes twice. Something three times. Takes a while and I think even time to I get near a recently flatten section to do it again, I can hear the strands screeching from the heat. So when the Amika Pulse Vibrating Action Flat Iron promised faster and more thorough styling action, I was literally shaking (pun intended) with happiness. This flat iron has a tiny electric pulse generator that gently vibrates and sends infrared waves through your hair directly to the root. This preserves moisture and reduces dryness, so there&apos;? ?s less damage like split ends and breakage. There&apos;? ?s also less of a need to go over the same sections of hair, which means a healthier and faster styling experience. The Ceramic plates of the Pulse Action Styler are extra smooth for incredible glide, so pulling or snagging. And the tourmaline coating reduces static. So no static head. A necessity as we come up into the staticky months. Best of all, it&apos;? ?s ready to use in 10 seconds. I shudder to think of how often I&apos;? ?ll straighten my hair now. 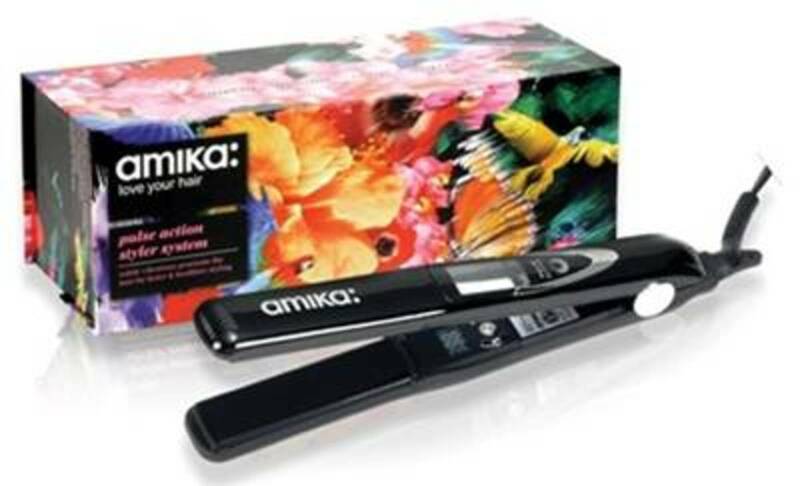 Amika Pulse Vibrating Action Flat Iron is available at LoveMika for $155. Cheryl Fenton is a Boston-based freelance writer, who writes beauty, fashion and fitness for Boston Common, Stuff and Glamour magazines, as well as her own EasyPeasyBlog.com.